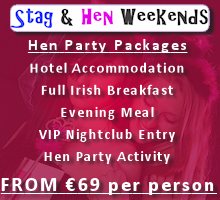 Hoteldeal4u.com and Stag and Hen Weekends.ie have put together a unique Prize for Ireland’s Hotel Employee of the Year 2013. 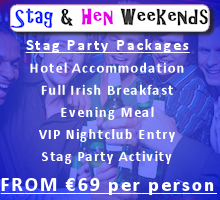 The competition will run throughout 2013 and will be judged on the basis of proposals made by management, staff and guests throughout the industry. Our judging panel will chose the Winner on the basis of proposals sent to awards@hoteldeal4u.com. 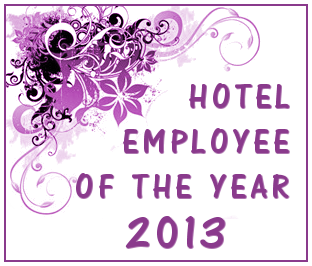 In your proposal tell us why you think your chosen employee should win the coveted award of Hotel Employee of the Year 2013. You may propose someone for being helpful above and beyond the call of duty, for offering advice and experience to newer staff members, for being punctual, hardworking, diligent, the list is endless, if you believe someone has done something beyond their normal duties or have done their normal duties with diligence and enthusiasm then nominate that person by sending a short proposal to awards@hoteldeal4u.com, simply say why this person deserves to Win this fantastic prize and coveted award. When the Winner has been chosen, you the proposer will be contacted.